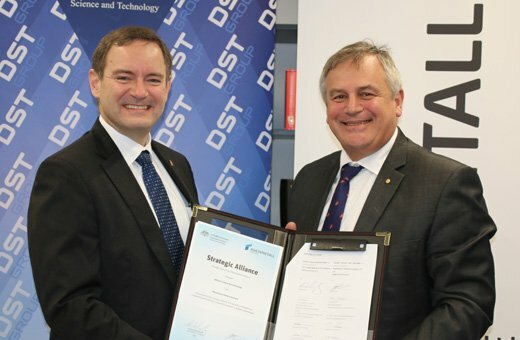 Rheinmetall and Defence Science and Technology (DST) have formed a new strategic alliance aimed at advancing the development of innovative technologies for land capability. The five-year strategic alliance expands the long-standing research relationship between the two parties into new technology areas, including the development of autonomous vehicle systems that will deliver greater land power for Defence. Defence Industry Minister Steven Ciobo said some of the cutting-edge technologies developed under the strategic alliance will support the Boxer combat reconnaissance vehicle fleet which Army is acquiring from Rheinmetall. “Research in autonomous systems is a must to achieve future warfighting success and partnering with industry ensures Defence stays ahead of the technology curve,” the Minister continued.